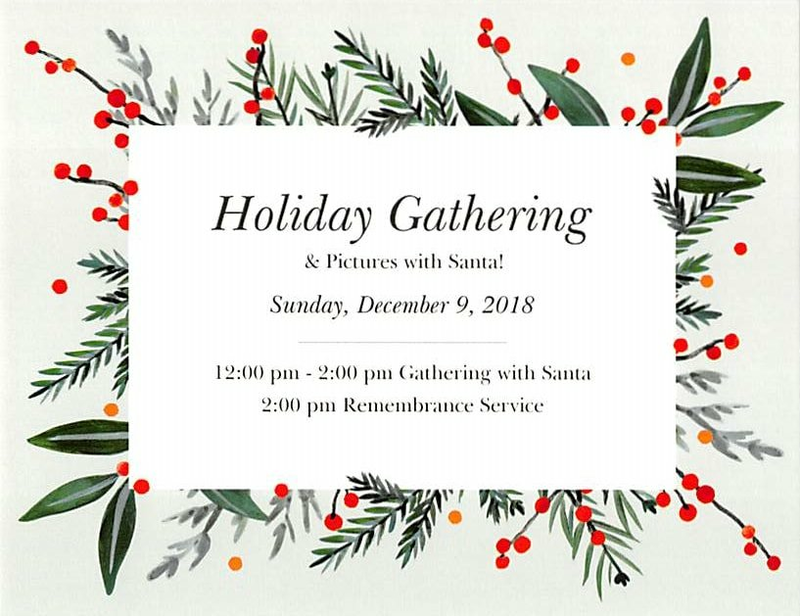 Sunday, December 9, 2018, please join us at Givnish of Marlton, 398 E. Main St., from 12 pm - 2 pm for a Holiday Gathering. Santa will be available for pictures, and refreshments will be served! A remembrance service will begin at 2 pm with Rev. Scott Mitchell, with a dove release to follow. There will be music, as well as an opportunity for a memorial dove representing your loved one to be placed on our Christmas Tree. If you are able to, bring an unwrapped gift for Toys for Tots! All our welcome, and please RSVP to [email protected] or call (856) 452-5090.